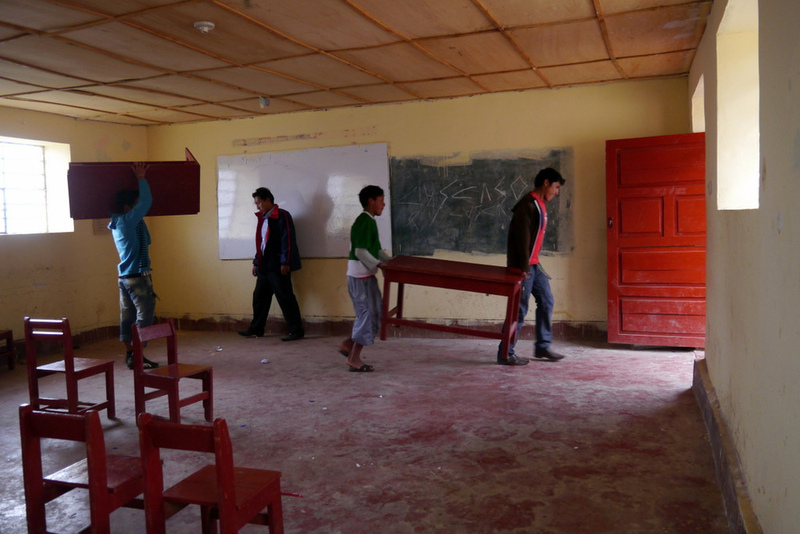 Mission: Build a kitchen for a remote village school; grade levels 1-11. Palmira is a poor village located 20 minutes hiking distance from the nearest road. It’s then, another 40 minutes driving distance, assuming you’re able to find transportation, to a small city called Curahuasi—what you and I would call civilization. And Unlike most villages, Palmira doesn’t even have a central communal area (for example: a little plaza, communal house, chapel, etc.) other than their school. Palmira is a 100% agricultural village; the villagers survive from what they eat and sell the rest, usually corn and potatoes. The family income there, on average, is only a few dollars per day. And although the school and village have electric poles and wiring setup, the village has never had any electricity… maybe by Christmas time 2012. Their adobe school has about 195 students teaching grade levels one through eleven. Currently, classes start around 8am and finish around 1pm, with no breakfast or lunch. 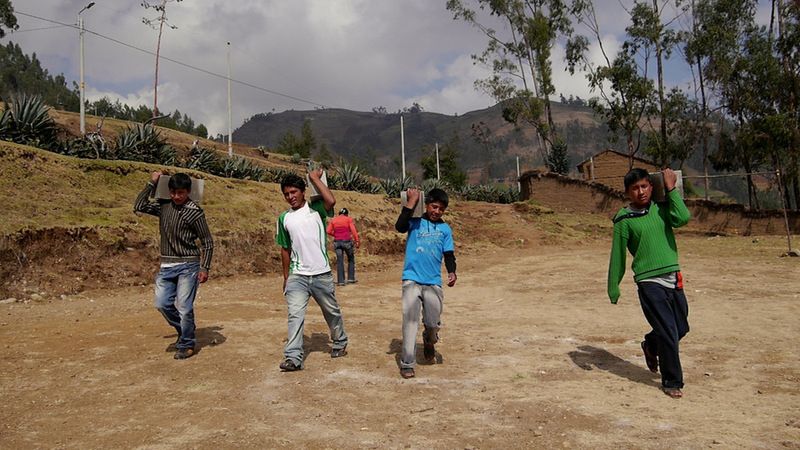 Nearly all the students hike miles of rough mountainous terrain, to get to school. The school used to have a primitive kitchen that boiled water and prepared a snack for the students, but unfortunately, it was accidently burned down several months ago. It wasn’t until months after the accident that the director of the school learned about Mission McNeill and invited us to visit the facility. Our goal for this facility, was simple… to build them a formal kitchen. 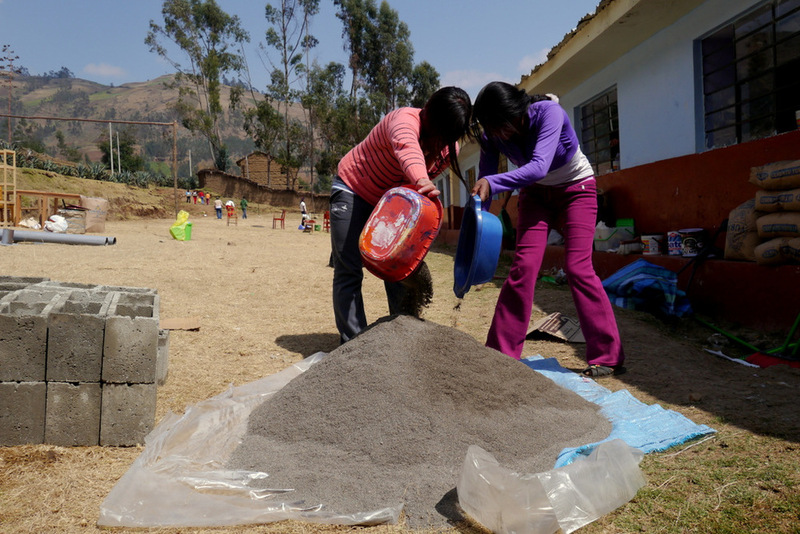 What made this project extra special, was the fact that by giving them a kitchen, they would meet the last of their government prerequisites to receiving nutritional aid, like: potatoes, rice, oil, tuna, etc. Apparently, the government doesn’t recognize a kitchen to be formal unless the wood stove is designed in such a way that it vents the smoke outside, something they didn’t have. Please see the video and pictures to see what was accomplished. A very big and special thanks to our sponsors: the youth group at St. Michael The Archangel Catholic Church, located in Lake Jackson, Texas. Thanks to them and their many fundraisers, they were able to fund this project, which cost $927 and helped all 195 students. In addition, the kitchen will help hundreds of villagers more during quarterly village meetings, monthly mother with children meetings, and any special celebrations, including weddings, holidays, etc. Thank you St. Michael!